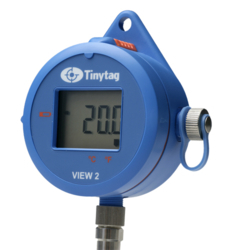 The TV-4204 uses a PT1000 probe for very low temperature monitoring. 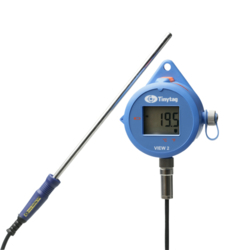 PT1000 probes monitor from -200 to +100°C, making the unit a versatile solution typically for freezers and cryogenic applications. Like the rest of the View 2 range, this accurate and reliable unit has a display providing a visual readout.